Guests were evacuated from an Oakland hotel Monday while police searched for explosives. Bob Redell reports. Guests were evacuated from an Oakland hotel Monday while police searched for explosives. Police said the criminal investigation at the Homewood Suites by Hilton on the Embarcadero stems from an arrest in Alameda County over the weekend. California Highway Patrol officials said an officer on Sunday attempted to make an enforcement stop on a Honda CRV in Castro Valley. Police said the driver, Jeremy Guy, failed to yield and after a short pursuit was apprehended. When police searched the vehicle they discovered items associated with making explosives, prompting investigators to obtain search warrants for the suspect's hotel room. 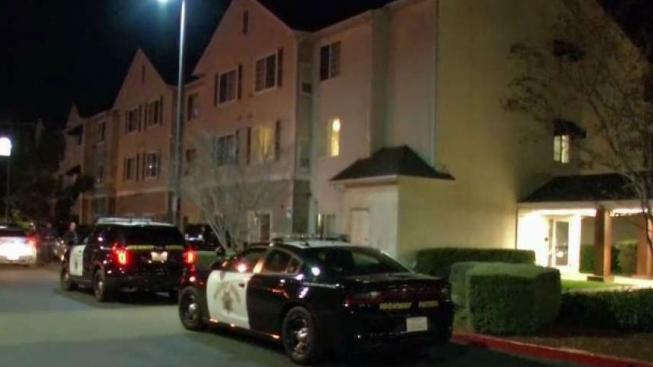 CHP, with the help of the Oakland Police Department, evacuated Homewood Suites by Hilton on Monday night to search Guy's hotel room and another vehicle tied to the suspect. "It was a big commotion. I have kids in here. It was really scary," said Charla Blair, a guest at the hotel. "My husband couldn't get back in." At around 9 p.m., police reported guests were able to return to the hotel. Oakland police are assisting with a perimiter and traffic control only as CHP Golden Gate Division conducts a follow up criminal investgation. Police activity in the area of 1700 Embarcadero, Oakland.